Eye: Cognac color of old gold. Nose: Expressive, gentle, heady aroma reveals noble nuances of fruits and rancio (tones of toasted bread & nuts), complemented by undertones of peach liqueur, wood, honey, nutmeg, & cinnamon. Palate: Balanced, clean, harmonious, complex. Elegant notes of plums, ripe pears, & tobacco. Exquisite finish with stunning length. 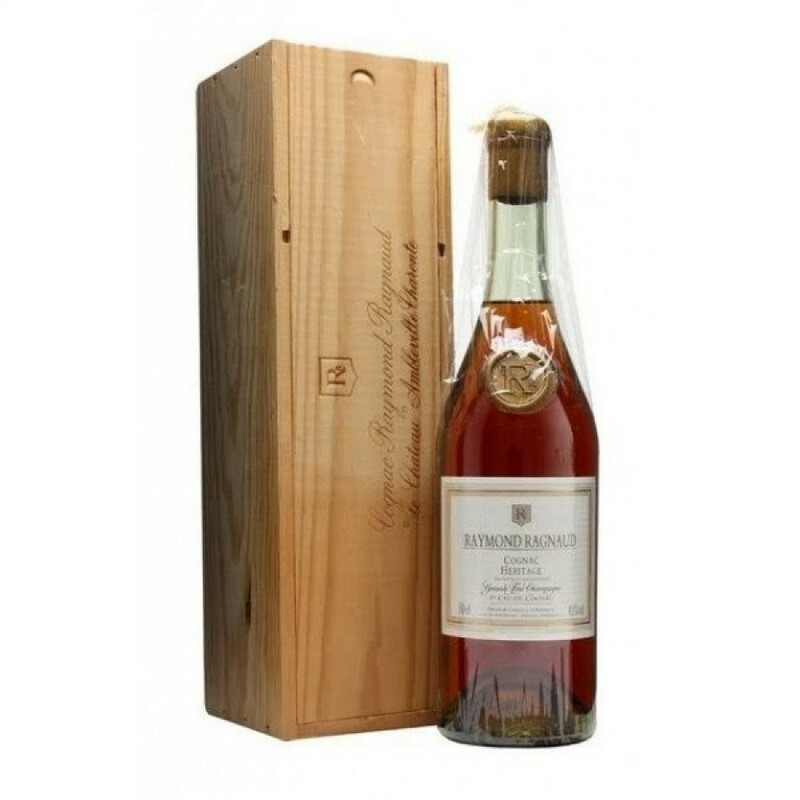 The Raymond Ragnaud Heritage Grande Champagne Cognac is so named for its heritage of 1906. This wonderful, character-intense Cognac is created from eaux-de-vie from the Grande Champagne terroir that have been aged for over 50 years. Of course, this extended aging not only allowed the flavors to intensify, but for that delicious taste of 'rancio', that only appears in a truly well aged Cognac. Overprrof at 44°, this Cognac will stun with its elegance and intensity, and leave your marvelling at the stunning length of the afttertaste. A wonderful digestif, and will complement top quality fresh coffee or your favorite cigar.